Rebecca Ferguson as Queen Elizabeth. 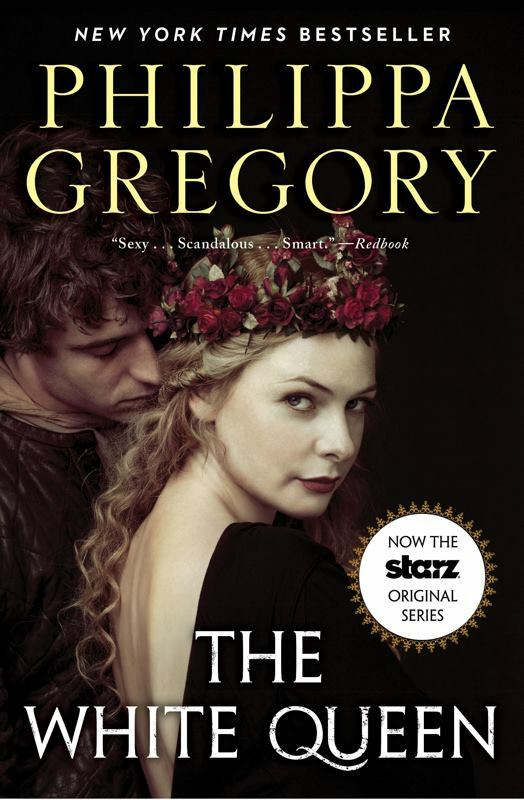 Elizabeth Woodville, of the House of Lancaster, is widowed when her husband [Sir John Grey of Groby, by whom she has issue] is killed in battle. 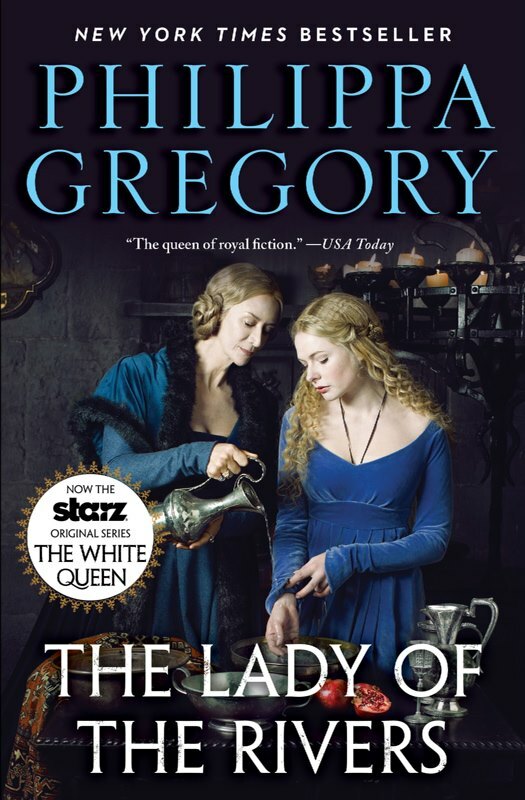 Aided and abetted by the raw ambition and witchcraft skills of her mother Jacquetta, Elizabeth seduces and marries, in secret, reigning king Edward IV, of the family of the white rose, the House of York. As long as there are other claimants to Edward’s throne, the profound rivalries between the two families will never be laid to rest. Violent conflict, shocking betrayal and murder dominate Elizabeth’s life as Queen of England, passionate wife of Edward and devoted mother of their children. 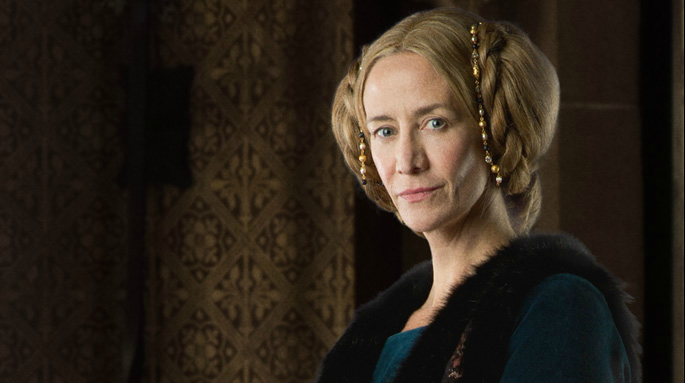 Jacquetta of Luxembourg portrayed by Janet McTeer. Katherine Parr was also a descendant of Henry V, Count of Luxembourg and Marguerite de Bar; William II, Baron of Tingry and Blanche de Brienne; Guy of Dampierre, Count of Flanders; and several other paternal ancestors of Jacquetta of Luxembourg. 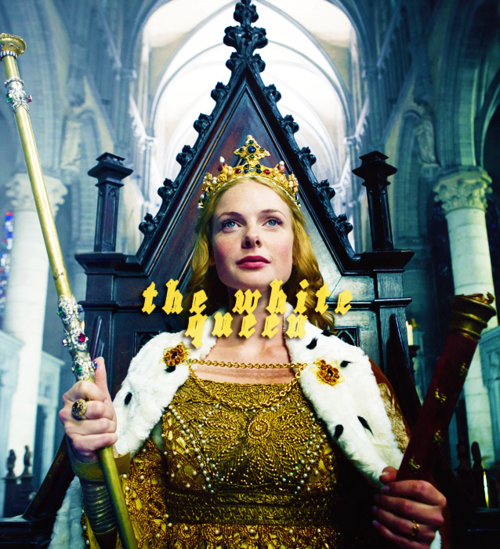 Elizabeth Woodville portrayed by Rebecca Ferguson. Philippa Gregory. “The New Cousins’ War Series Book Covers,” 9 May 2013. This entry was posted in The War of the Roses (1455-1485) and tagged Bbc white queen, Ben Lamb, edward iv queen, Elizabeth Woodville, Jacquetta of Luxembourg, Janet McTeer, Lady Rivers, Max Irons, rebecca ferguson, Starz White Queen, the white queen by tudorqueen6. Bookmark the permalink.